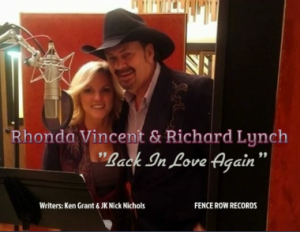 Indie Country Music Hall of Fame artist, Richard Lynch and New Queen of Bluegrass, Rhonda Vincent have topped the country chart with "Back In Love Again." NASHVILLE, TN, UNITED STATES, January 20, 2018 /EINPresswire.com/ -- Traditional country crooner and member of the Independent Country Music Hall of Fame, Richard Lynch is no stranger to chart-topping hits. His last 3 singles reached that pinnacle on multiple radio airplay charts, including New Music Weekly, Roots Music Report and IndieWorld Country Record Report. His hit, "We're American Proud" was recently named the #1 Traditional Country Song of 2017 by Roots Music Report. Reigning Queen of Bluegrass music, Rhonda Vincent is also very familiar with number one hits: her last 3 solo albums reached the top of the Billboard Bluegrass chart, earning her multiple accolades, including 3 Grammy award nominations. 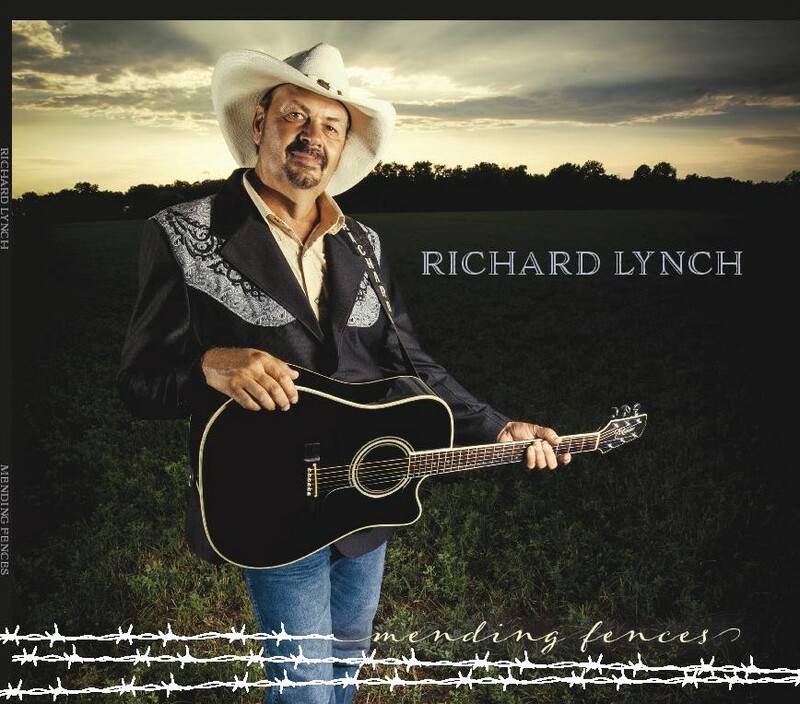 Now, Richard Lynch and Rhonda Vincent have both earned another chart-topping record, together. Their duet, "Back In Love Again" is this week's #1 New Music Weekly Internet Country Chart single! The toe-tapping song is also #10 on the AM/FM country chart. The track is taken from Richard's award-winning, critically acclaimed album, "Mending Fences." Watch the music video for "Back In Love Again," featuring "behind the scenes" studio footage at https://www.youtube.com/watch?v=UTsXa_Vq6Pc&feature=youtu.be. Rhonda Lea Vincent is an American bluegrass singer, songwriter, and multi-instrumentalist. In 2000, The Wall Street Journalproclaimed Vincent "the new Queen of Bluegrass". 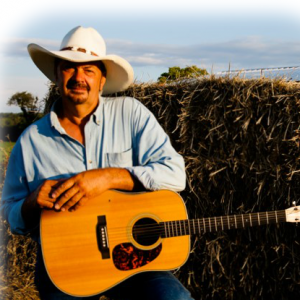 Vincent is an in-demand guest vocalist for other bluegrass and country music performers, appearing on recordings by Dolly Parton, Alan Jackson, Tanya Tucker, Joe Diffie and other notables. The International Bluegrass Music Association (IBMA) accorded her its Female Vocalist of the Year award for the years 2000 – 2006, plus IBMA Entertainer of the Year in 2001. The Society for Preservation of Bluegrass Music in America (SPBGMA) designated her its Entertainer of the Year for 2002 – 2006 inclusive. She is a four-time Grammy Award Nominee. http://www.rhondavincent.com. MTS Management Group is more than just an artist management/publicity/promotions company…It is where INDIE artists get MAJOR exposure! Specializing in full-service artist management, publicity and promotions, radio and social media campaigns for new and established independent artists and indie labels, MTS Management Group and MTS Records are on the cutting edge of today’s new music business. Founded in 2010 by Award-winning songwriter, musician and producer, Michael Stover. A music industry veteran of over 30 years, Michael is a graduate of the Art Institute of Pittsburgh, with a degree specializing in the Music and Video business. Michael has used that education to gain a wealth of experience within the industry: from retail music manager and DJ, to two-time Billboard Magazine Contest winning songwriter, performer and chart-topping producer, and finally, award-winning artist manager, publicist, promoter and label president. In just 7 years, MTS Records has released 32 Top 40 New Music Weekly country chart singles, including TWELVE #1s and 8 Top 85 Music Row chart singles.